While we’re here to make the installation easy, there are some things to help the process run smoother. 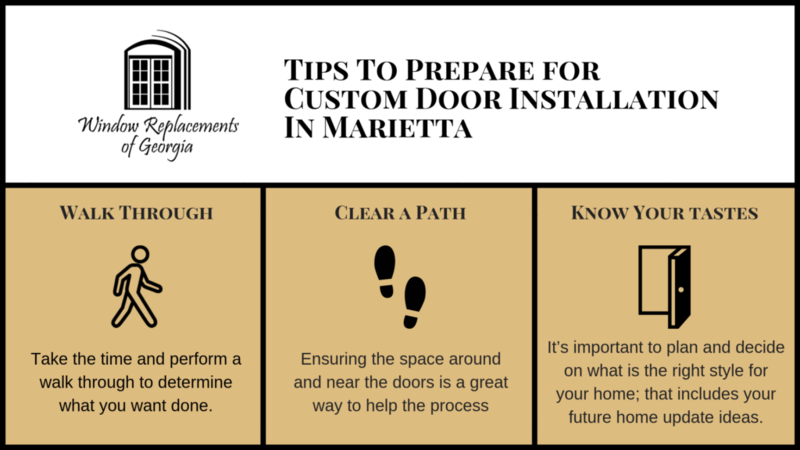 Here are 3 tips on how you can ready your home for Custom Door Installation In Marietta. Walk Through – Before any new addition to your home, you should take the time and perform a walk through to determine what you want done. This not only helps your decision process, but it also helps you pinpoint any hidden issues: cracked door frames, loose hinges, etc. Clear A Path – Ensuring the space around and near the door(s) is a great way to help the process. This also include any pets that may be roaming around your home. Know Your Tastes – Custom Door Installation In Marietta offers a multitude of door options. It’s important to plan and decide on what is the right style for your home; that includes your future home update ideas. It saves you time and money in the long-run. Hanging a door is tricky business, requiring great skill to assure it is done properly. An expert will know how to correctly install a door assuring that it not only functions well, but also provides the best stability and protection for your home. As certified installers, you can trust Window Replacements of Georgia to take the utmost care when installing your exterior door. Our installation team is made up of some of the door industry’s most skilled craftsmen, and we use only the highest quality materials in our projects. What Custom Doors Are Best? Every home is different. That’s why Custom Door Installation In Marietta puts you in control. With a multitude of options available, our team can help walk you through what works best for your home, budget and time frame. When Should I Replace My Doors? While it varies across all brands, most doors are meant to last 30 years; this depends on the exposure to the elements. After that timeframe, you should consider having custom doors installed to ensure your home remains safe from the elements and other issues. Occasionally, custom doors are needed sooner. What Kind of Doors Does Windows Replacements of Georgia Offer? We offer a multitude of unique door options: Entry Doors, Exterior Doors, French Doors, Patio Doors. Our friendly customer service agent will promptly send out an in-home installer to assess your door needs. Window Replacements of Georgia is focused on offering the best match for your home’s individual style and budget. Window Replacements Marietta can give your home the top-notch appearance that will last for seasons to come. Let Custom Window Installation in Marietta open the door to new looks. Contact Us Now or Call Us at (404) 998-4944. 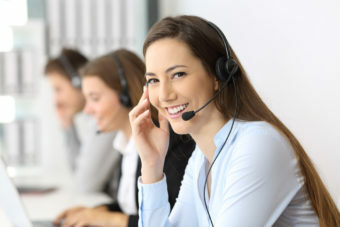 PreviousPrevious post:Window Replacements of Marietta Shares Best Window Cleaning Advice NextNext post:How To Choose Custom Window Installation in Marietta?